i tried unsuccessfully to sell it locally and i would have to lower the price by a lot and be more patient. here in middle canada (winnipeg) there isn't nearly the same synth scene as there was when i lived in toronto, which is a way way bigger city. 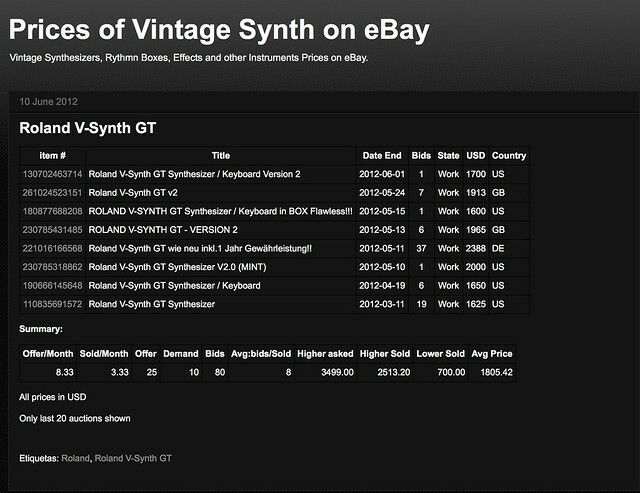 I have had nothing but good experiences buying AND selling synths on eBay. I have never had to deal with anything outside of the country, but it's a pretty straightforward transaction as far as my experience goes. That said, and again, I don't have any experience with international buying and selling. Incidentally, what are you asking for the board? I'd restrict it to North American sales. It's just too big to ship overseas. Regarding int'l: I got a message from them recently that I only glanced at, but it mentioned some type of broker service where your shipment will go to their central USA warehouse and then they will ship it internationally. They do the paperwork too. I was planning on reading it more closely soon because I'm selling the ms2000b with hard case, and the trident. Also maybe a poly six and a poly 61m, a vintage cx3 in a flight case. <--hidden plug, see what I did there? Last edited by gregwar on Thu May 29, 2014 7:29 pm, edited 1 time in total. I dunno, man. You may be able to get that for it. Last I looked, and it was a few months ago, they were selling for around that, I think. ETA: I see only one GT listed now for $2500. That's too much. When you factor in all feebay fees, it's way over 10%, if you sell it for 1700 you'll be out of close to 300 bucks in fees, I think. I think I'll just keep it as it's a very versatile synth. my current rap project can feel restrictive considering my much more experimental past. it is nice to just noodle with strange dsp when I'm not focusing on making bangers. Keep it on sale locally and in nearby cities. I have sold some stuff that stayed on Craigslist for like 6 months (nothing quite as big as a v-synth tho). Renew the ad every couple weeks - you don't wanna be that guy that renews it at the very moment you are allowed to. If someone wants a v-synth they'll use the search feature in the ads, anyway.